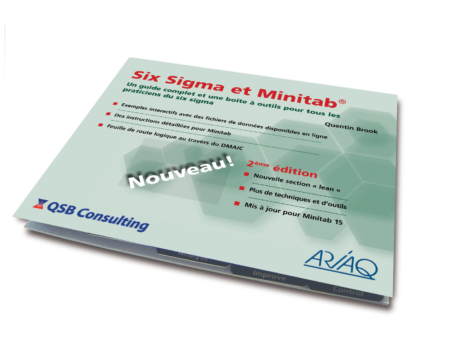 We’re pleased to announce the re-release of the French edition of our successful book Lean Six Sigma and Minitab as an ebook on the Kindle Platform – available only through Amazon website stores. To find it on Amazon, just enter ‘Six Sigma et Minitab’ in the search line on any of the Amazon stores. This version of our pocket book is based on Edition 2, and so readers should be aware that it incorporates Minitab 15 screen shots and does not have some of the newer content available in our current Edition 4. However, it is the only option that we currently have for French speaking readers since we will not be releasing any further editions in French, and as such, still provides substantial value beyond the Minitab specific sections.